I had to interrupt my KC Royals love to share something I found today on the Internet. The Steam-Powered Classroom. What a great resource for kids and teachers! 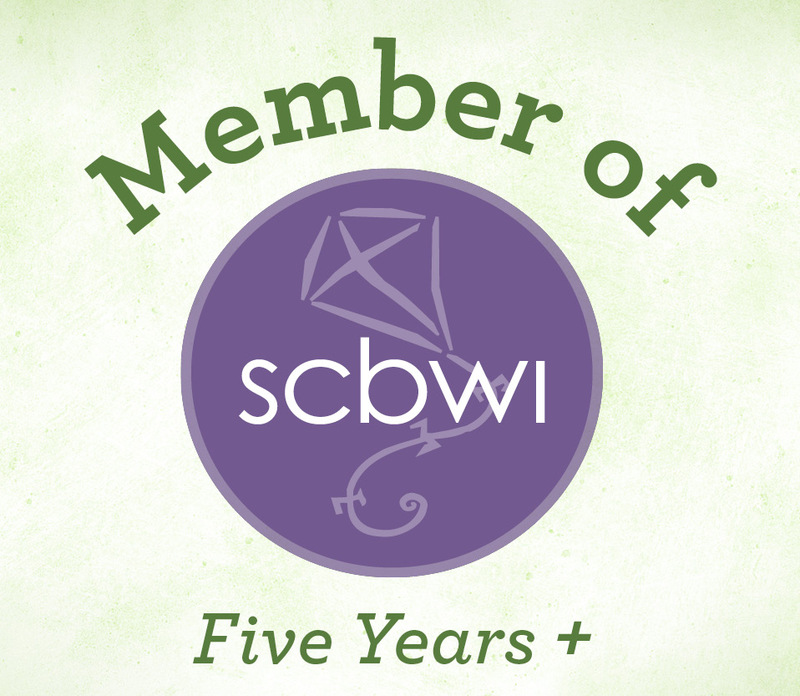 On the episode I watched, they discussed recent graphic science novels and how cool they are. I agree! My VAMPIRES AND LIGHT (Capstone Press) is one of the featured titles. You can see the video review at about 1:45 in. Thanks, Steam-Powered Classroom. Great work introducing cool books to cool kids! THE KANSAS CITY ROYALS ARE IN THE WORLD SERIES!!! ARE IN THE WORLD SERIES!!!! We LOVE our home team! Good luck on Thursday, guys! 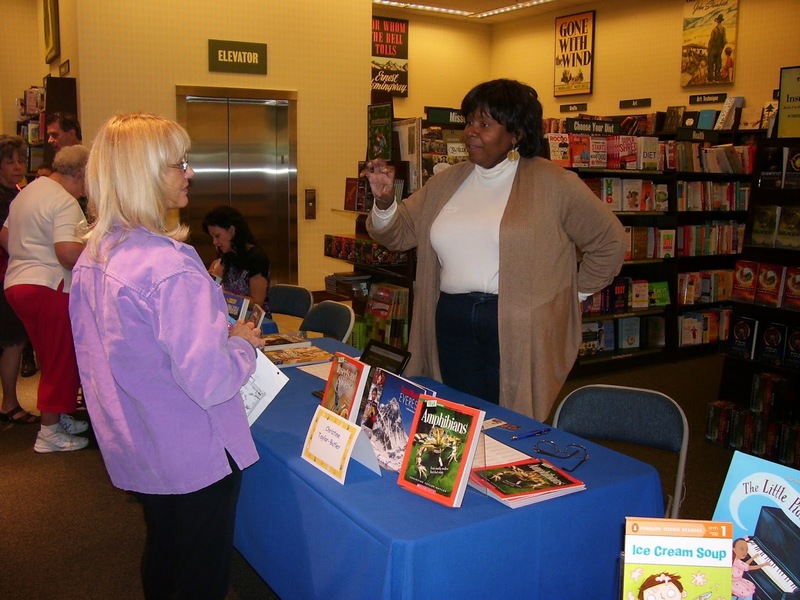 This past Saturday, I had the pleasure of participating in a book signing at Barnes & Noble. 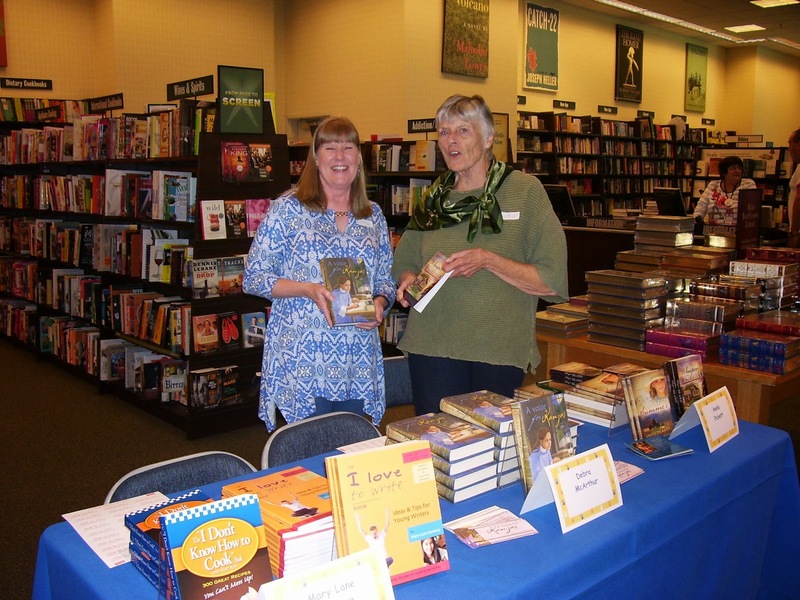 The event was co-hosted by Sherry Polito of B&N and Park University's Shannon Cuff. It highlighted authors who will be talking with elementary students at Park University's River Read festival in mid-October. Here are some of my writing buddies. 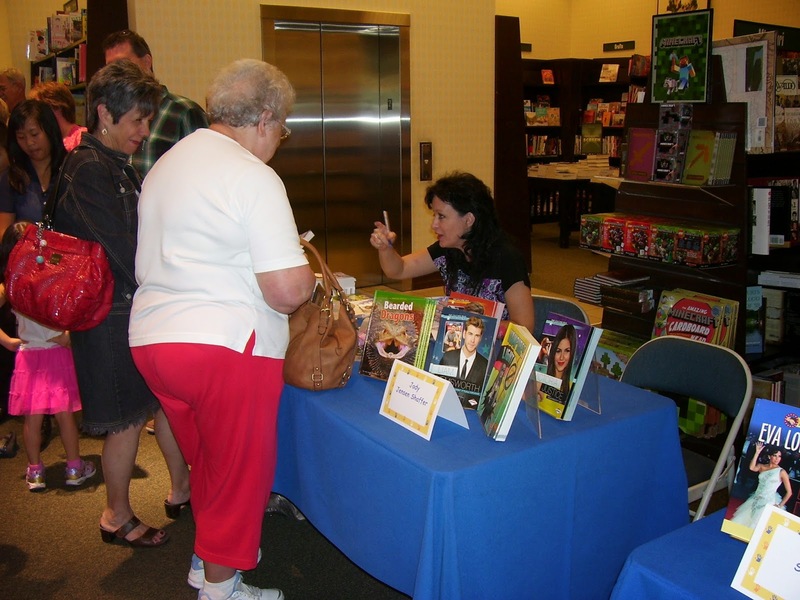 Thanks, B&N and Park University! It's officially fall and time to open the windows, if you're in my neck of the woods. A sure sign of the changing seasons in Missouri are the mums that decorate front porches. I was lucky enough today to find something else decorating my porch: a box from my publisher, ABDO, with copies of my latest book. I hope you get a chance to celebrate fall with a sweatshirt, a few colorful flowers, and a great book. Nancy Paulsen will be publishing my debut picture book, ROCKY! Thanks to my awesome agent, Kathleen Rushall, for sending my little pebble out into the world. And thanks to Nancy for believing in him once he arrived. I can't wait to start working with her! Here's the Publisher's Marketplace announcement. 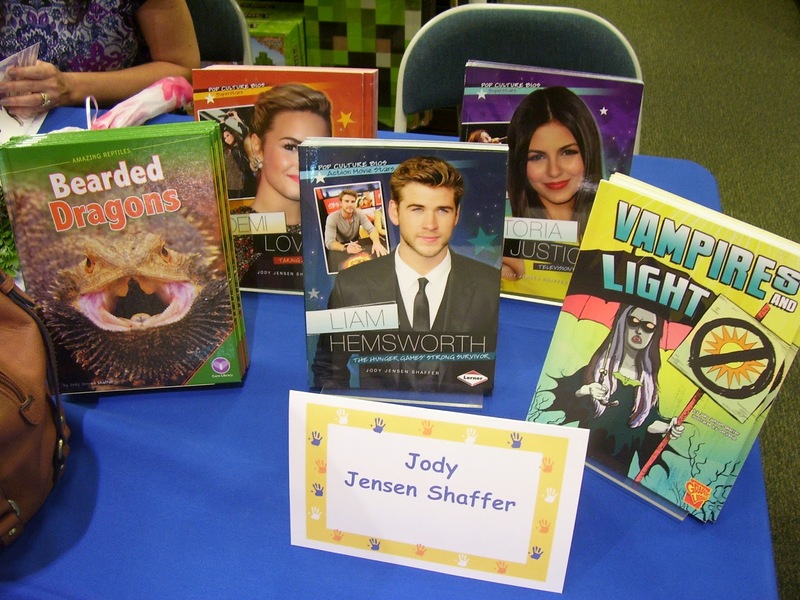 Jody Jensen Shaffer's ROCKY, about a little pebble trying to find his place in the world alongside some famous relatives complete with informational backmatter, to Nancy Paulsen at Nancy Paulsen Books, by Kathleen Rushall at Marsal Lyon Literary Agency (World). Lewis and Clark Elementary Rocks! A big shout out to the fifth graders at Lewis and Clark Elementary! I had a great time today talking with them about writing nonfiction. They listened well, asked good questions, and made me feel right at home. They even introduced me to a resource I didn't know existed, myON.com, an interactive digital library. We listened to some of my VAMPIRES AND LIGHT book. Cool voices! These smart students and their equally-wise teachers use it all the time. Thanks to super teachers, Ms. Raney, Ms. Williams, and Mr. Lewis, and to Assistant Principal, Katie Lawson. Go get 'em, fifth graders! I can't wait to see where YOUR interests take you! 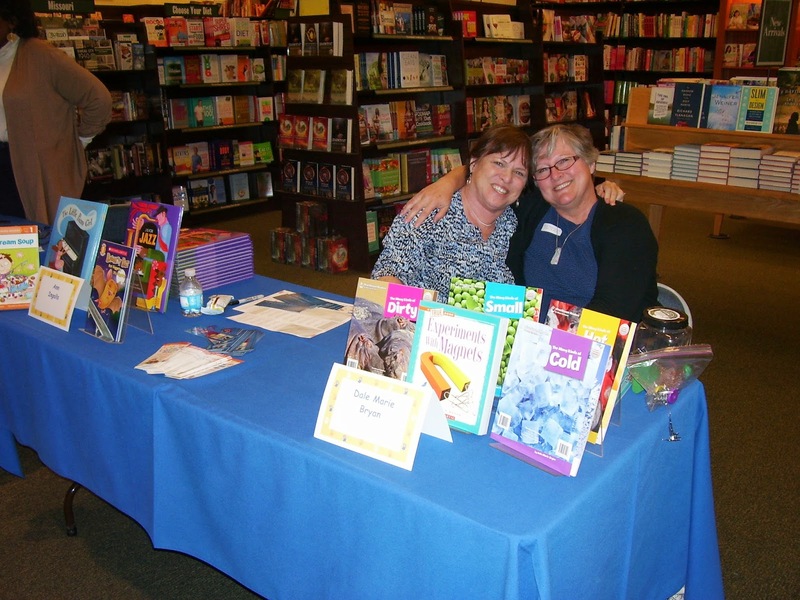 I was recently interviewed by my critique buddy and school librarian, Deb Marshall. Thought you might like to have a peek. Thanks, Deb! 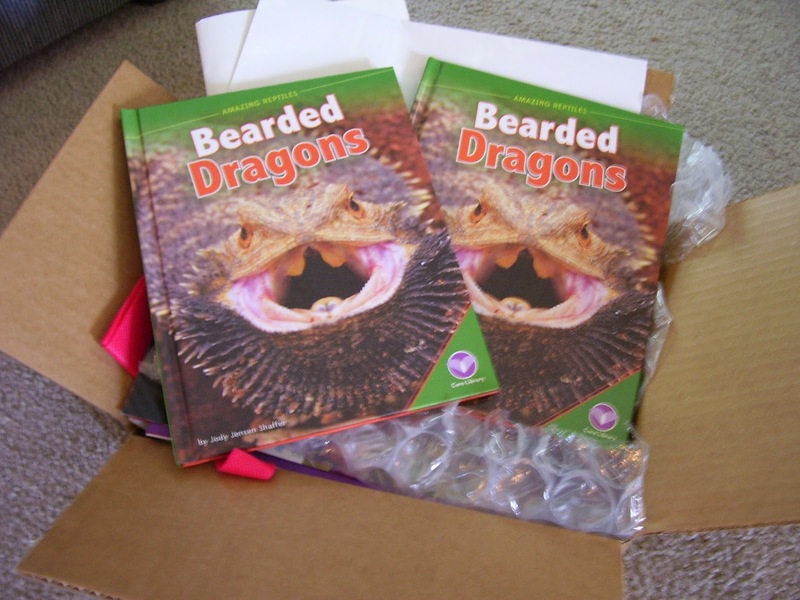 I can't wait to send one of your students one of my books! I went a little ape! CHIMPANZEE, in fact! I went a little ape in 2013, and my newest book, CHIMPANZEES: THE SMARTEST ANIMALS, is the result. Go inside the mind of one of the most intelligent animals on Earth. 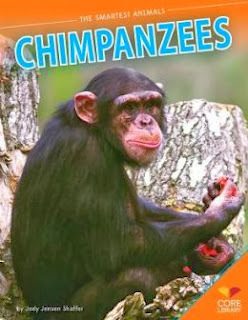 Learn more about chimpanzees, how they use their cleverness to survive, and how they are astonishing scientists with their surprising smarts. Complete with well-researched, clearly written informational text, primary sources with accompanying questions, charts, graphs, diagrams, time lines, and maps, multiple prompts, and more. Aligned to Common Core Standards and correlated to state standards. Core Library is an imprint of ABDO Publishing Company. I hope you have a chance to read about these amazing, oh-so-human-like creatures. They are fascinating and endearing and definitely worth taking care of. All the best to you and yours in 2014!